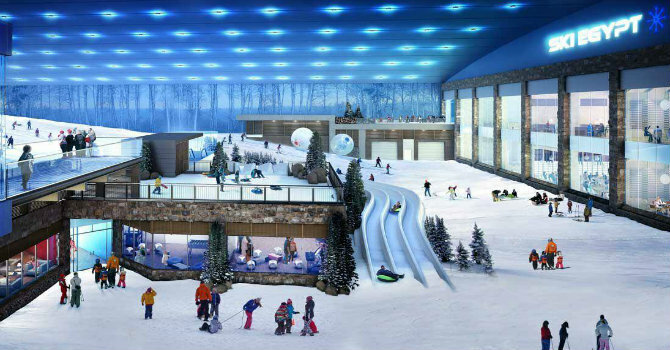 Delve into the cold of the iced tundra as you visit Ski Egypt, it is Africa’s premier and unique Indoor skiing resort. Strike the ski runs, enjoy sitting in one of the lovely cafes or explore the interacting snow caves. Beside the excellently designed ski school, there is 7000 tons of snow formes the lucid white hills and downhills that make the snow mountains experience becomes true.